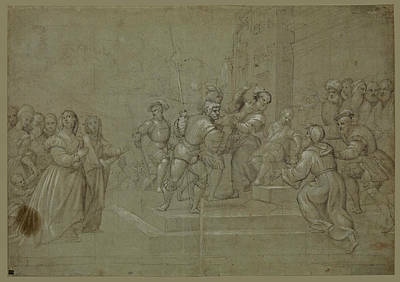 Pomponio Amalteo (1505 – 9 March 1588) was an Italian painter of the Venetian school. He was born at Motta di Livenza in Veneto in 1505. He was a pupil and son-in-law of Il Pordenone, whose style he closely imitated; he inherited Pordenone's studio at Friuli, where he led a long career. His works consist chiefly of frescoes and altarpieces and many of which (for instance those in the church of Santa Maria de' Battisti and the altarpiece of Saint Sebastian (1533) at the duomo of San Vito al Tagliamento) have degraded greatly over time. Five pictures representing subjects of Roman history painted by Amalteo adorn the Hall of the Notaries at Belluno. He also frescoed a series of judges for a loggia in the court of justice in Ceneda. His shading is weaker; colors, brighter; and proportions of figures, less elegant, than those of Pordenone, of which he was likely the most accomplished of his pupils. His brother Girolamo Amalteo is supposed to have assisted him in his labors. His daughter Quintilia Amalteo had the reputation of an excellent portraitist. 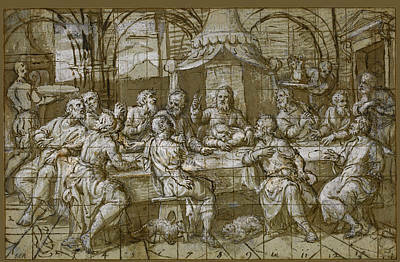 Girolamo, besides the works in which he aided his brother, executed small pictures, painted in fresco, and produced an altarpiece for the church of San Vito. Other pupils were Sebastiano Seccante (1534-1581) and Giovannni Antonio Agostini. Members of the Amalteo family from Oderzo were writers. He died at San Vito al Tagliamento in 1588. "Pomponio Amalteo (Motta di Livenza 1505–1588 San Vito al Tagliamento)". Princeton University Art Museum. Hobbes, James R. (1849). Picture collector's manual adapted to the professional man, and the amateur. T&W Boone, 29 Bond Street; Digitized by Googlebooks. p. 4. Contributo secondo-quarto ed ultimo, alla storia dell'arte nel Friuli, By Vincenzo Joppi, page 39. This article incorporates text from a publication now in the public domain: Chisholm, Hugh, ed. (1911). "Amalteo, Pomponio". Encyclopædia Britannica (11th ed.). Cambridge University Press. Freedberg, Sydney J. (1993). Pelican History of Art, ed. 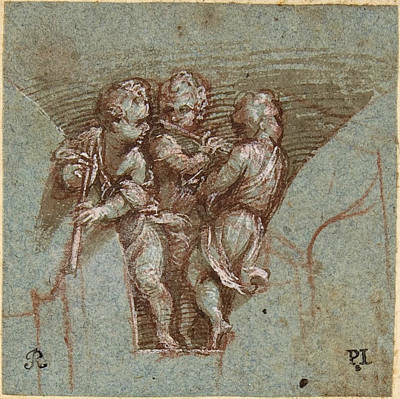 Painting in Italy, 1500-1600. Penguin Books Ltd. p. 357.